This shall serve as Wasserstein, P.A.’s newsletter regarding recent legislative changes of which you should be aware. Please note that the following is only a summary of the key changes and updates that went/will go into effect July 1, 2018 (along with some color commentary). Please feel free to share it with your fellow board members and property managers! NOTE: 4 out of 6 of these items are the governing documents of the association. Those should not be any problem producing because a) of their importance and b) most, if not all of them, are recorded amongst the public records anyway. The real problem is this. Forever, the condo statute has required that associations maintain official records for 7 years (except election-related records, which only have to be maintained for 1 year from the election). Now, the legislature seemingly expects associations to conjure up documents like developer plans, permits and warranties, or meeting minutes, from decades ago that may very well have been lost to the pages of time. I am fairly confident that if an owner were to challenge an association founded in say 1980 for not maintaining meeting minutes from then until 2010 that the arbitrator/judge would find this new requirement to apply on a going forward basis and not retroactively (meaning at most, since this new law is going into effect in July of 2018, that the documents that have to be kept forever start with those from July of 2011 and forward). But who knows! Official Records (Time to Allow for Inspection): Official records must be made available to an owner for inspection within 10 working days after receipt of a written request. NOTE: Previously, the association only had 5 working days to make official records available. This change makes the condo statute consistent with the HOA statute with regard to the number of days to provide access to official records. The 5 working day requirement was a bit burdensome for associations to comply with, so this is a welcome change. summaries of bids which exceed $500 which must be kept on the website for 1 year (instead of summaries, the bids may be posted). NOTE: Hooray for a delay! I just hope that the legislature does not continue to keep revising the documents that do and do not have to be posted. Who can keep track! At the next meeting of the members the existence of the contract must be disclosed to the members and if a motion is made by any member, the contract must be voted on and may be canceled by a majority vote of those present. If canceled, the association is only liable for the reasonable value of the goods and services provided through the date of termination and not for any other fees or penalties. NOTE: Last year’s changes were a bit confusing and while consolidated, there is still not clarity. In one part of the statute it essentially states that there is a presumption of a conflict of interest (rebuttable) if a director, officer or relative contracts with the association, but that can be overcome provided certain disclosures are made and requirements met (so conflict of interest contracts are seemingly permissible). However, of note, the legislature left the language from last year pertaining to “service provider” contracts which still states that an association (except for a timeshare) may not contract with any “service provider” that is owned or operated by a board member or with any person who has a financial relationship with a board member or officer, or their relative (unless their ownership stake is less than 1%). So what are they saying here? It’s ok for the association to contract for roof repairs with a company owned by a Board member, but not with a security company owned by a Board member? Seems like a distinction without a tangible difference. Regardless, our recommendation is to avoid conflict of interest contracts. No matter how fair, reasonable, economically beneficial and legally implemented they may be, they always have the appearance of impropriety. Nike says Just Do It! When it comes to contracting with the association, Just Don’t Do It! Financial Reporting: In the event an association fails to provide an owner with the most recent financial report within 5 business days after receiving a written request and then also fails to provide that same report to the owner within 5 business days of receiving an notice from the DBPR (“Department of Business and Professional Regulation”), Division of Condominiums, the association is prohibited from waiving the financial reporting requirement for the fiscal year in which the owner’s initial request for a copy was made and the following fiscal year as well. NOTE: This is really just a clarification of the penalty. The prior version of the law did not specify the length of time that the association would be prohibited from waiving/reducing its financial reporting requirements. The new law clarifies that the punishment only extends for a maximum of 2 years. However, this should not really matter much to associations. First, associations should be complying with orders from the DBPR! No reason not to do so! Second, even if an association were not to comply, most associations do not waive or reduce their financial reporting requirements anyway, so the penalty is really not all that significant. Board Meeting Notices: For meetings regarding special assessments, the “nature” of the special assessment no longer must be included in the notice. The notice must state that assessments will be considered and provide the “estimated cost and description of the purposes for such assessments”. Also, in addition to any other authorized means of providing notice, the Board may adopt by rule a procedure for conspicuously posting meeting notices and the agenda on the website, and for the electronic notice of such meetings. Additionally, any owner consenting to receive notices electronically is solely responsible for removing “spam” or other filters that may block their receipt of mass e-mails. NOTE: With regard to special assessments, the prior version of the statute required disclosure of the nature, purpose and cost of the special assessment in the notice of meeting. First of all, who knows what the legislature actually intended when it asked us to describe the “nature” of a special assessment. But logically, if the special assessment is for something such as a new roof then the “nature” of the special assessment seems like it would be “a new roof” and the purpose of the special assessment would be to pay for the new roof. So, I’m not sure that removing the “nature” of the special assessment really has a tangible impact because how can one describe the “purpose” of a special assessment (what it’s paying for and/or why the work is being undertaken) without necessarily touching upon the “nature”? Ok, moving on to the second part of the change regarding electronic posting of Board meeting notices, the one real takeaway is that this is not in place of posting notice of the meeting on the condominium property. So, if an association opts into this procedure they are actually volunteering for more work as opposed to actually replacing an outdated form of notification with a more modern and easily disseminated one. Gotta crawl before we walk! Term Limits: Board members can serve terms that are longer than 1 year if permitted by the bylaws or articles of incorporation. However, a Board member cannot serve more than 8 consecutive years, unless approved by 2/3 of all votes cast in the election or unless there are not enough eligible candidates to fill vacancies on the board. NOTE: This legislation fixes 2 things from last year’s passage of term limitations. First, it makes the 8 consecutive year limit applicable regardless of the length of each term that added up to those 8 years. Second, it clarifies that a Board member who has served for more than 8 consecutive years can override the limitation if at least 2/3 of all votes cast in the election (not 2/3 of all voting interests) voted for them. While it’s great that the legislature made these clarifications, they failed to address the most significant unknown which is whether this legislation applies retroactively to “time served” and already accrued by a Board member, or instead if this is a going forward restriction that will not need to be addressed until 8 years from now. The DBPR has “informally” stated that it will not be retroactive, but until we have actual case law there is no reliable guidance on this very important question. Additionally, there is also still the possibility that at the end of the 8th year (or really at any other time during their tenure) a Board member could resign (and possibly even be re-appointed) and then contend that they did not serve 8 consecutive years in full, thereby making them eligible to continue to serve without limitation. For the record, just pointing this out-not encouraging it! NOTE: The prior law suggested that only 1 or 2 year terms were permitted. Now it appears that Board members can serve any length of term provided that the length of term is authorized by the bylaws or articles of incorporation. So let me get this straight, on one hand the legislature is sending a clear message that they really do not want the same people to be on the Board for an extended period of time by implementing the 8 year limitation, yet at the same time instead of limiting the individual terms to 1 or 2 years they are now allowing the possibility of 3,4,5,6,7, or 8 year terms. Face meet palm. Recalls: Clarifying last year’s changes, a recall is now only effective if it is “facially valid”. If not facially valid, then the Board may reject the recall at the statutorily required meeting and thereby force the unit owner representative of the recall group to file a petition challenging the Board’s determination of facial validity. Alternatively, if a recall is accepted by the Board as facially valid, then a recalled Board member may file a petition to challenge that determination. Also, there are now certain instances in which attorney’s fees may be awarded to the prevailing party. NOTE: So what exactly makes a recall petition facially invalid? It is fair to assume that if the petition contains a number of ballots equal to less than a majority of all owners that would make it facially invalid. But what if the petition has more than enough ballots, but enough of those ballots are reasonably determined to be frauds or forgeries such that the number of legitimate ballots falls below the majority threshold? Hopefully the legislature adds language next year to specify what constitutes facial validity, or even better, a list of criteria that can be used to properly substantiate a determination of facial invalidity. Otherwise, the case law that will be derived from the DBPR over the next several years will have to suffice! Material Alterations: Unless the declaration contains a different procedure, a vote of the unit owners must be taken before the material alterations or substantial additions are commenced. NOTE: While the statute does not explicitly foreclose the possibility that an association can “ratify” a material alteration or substantial addition after the fact, it now seems that this practice will no longer be available. This is a big problem. Imagine your Board decides to change the roof from a foam roof to a rubber roof and that the declaration requires membership approval for all material alterations. Now, let’s further assume that even though this is a material alteration that the Board reasonably believes that this change in material falls under what is called the “necessary maintenance” exception, which would absolve the association of needing membership approval because it is using improved and longer lasting technology. The Board goes forward with the project, taking out a loan and passing a special assessment. Then an owner challenges the Board for not taking a vote of the membership and let’s say that the “necessary maintenance” exception is somehow not permitted and the arbitrator/court determine that the members should have been allowed to vote. Under the prior case law, the association could have been allowed to take an after-the-fact vote to ratify the material alteration and avoid the colossal waste of having to remove all of the new materials (while still also having to pay for them in full), as well as avoiding the additional cost of installing the old technology in its place. However, under this new law it appears that this may no longer be a viable option. Hopefully this will be repealed next year but if not, then associations may want to strongly consider amending their declaration to allow for after-the-fact ratification of material alterations. Fining: The fining committee appointed by the Board must have at least 3 members who are not officers, directors, or employees of the association, or their spouse, parent, child, brother or sister. If a fine is approved by a majority of the committee the payment is due 5 days after the date of the committee meeting/hearing and the association must provide written notice of the approved fine. NOTE: Aside from the 5 day waiting period for payment, which is wholly new, these changes are welcome because what they do is harmonize the condo statute with the existing fining procedures contained in the HOA statute. There really was no need for the two statutes to differ on these types of things. We can only hope that further changes like this are implemented in the future so that we can avoid unnecessary distinctions between condos and HOAs. Electric Vehicles: A declaration of condominium, restrictive covenant or Board may not prohibit any unit owner from installing an electric vehicle charging station within the boundaries of the unit owner’s limited common element parking area. The unit owner is entirely responsible for the costs of the charging station (which must be separately metered), as well as its installation, operation, maintenance, repair, insurance, and removal if no longer needed. It also cannot cause irreparable damage to the condominium. The association may impose certain requirements upon the installation and operation of the charging station, including, for example, that the unit owner comply with reasonable safety requirements, building codes and architectural standards adopted by the association governing charging stations, and that the unit owner use the services of a licensed and registered electrical contractor or engineer knowledgeable in charging stations. Labor performed on or materials furnished for the installation of a charging station may not be the basis for filing a construction lien against the association, but such a lien may be filed against the unit owner. NOTE: It appears that the theme of this year’s body of legislation is technology and these changes are certainly a significant step forward. However, there are still holes in it. For example, why does this right to install a charging station only apply to limited common element parking areas? What about condos where the parking spaces are not limited common elements, but actually deeded properties themselves? If a unit owner wants to install a charging station within the boundaries of their deeded parking space is that not allowed? What if the boundaries of a deeded parking space or a limited common element parking space provide insufficient room for the equipment? Then what? Also, who pays to upgrade the condominium’s electrical grid/capacity to handle the increased usage of electricity? Still crawling before walking here, but that’s ok, especially when it’s in the right direction! Board E-Mails: Board members are permitted to communicate on association matters by e-mail, but cannot vote by e-mail. NOTE: This language was implemented into the condo statute a few years ago, so this is another step towards harmonizing the condo and HOA statutes with one another. This provision is intended to foster discussion, but make sure that decisions are not being made via e-mail! Amendments: A proposal to amend the governing documents must contain the full text of the provision to be amended with new language underlined and deleted language stricken. However, if the proposed change is so extensive that underlining and striking through language would hinder rather than assist the understanding of the proposed amendment, the following notation must be inserted immediately preceding the proposed amendment: “Substantial rewording. See governing documents for current text.” Also, an immaterial error or omission in the amendment process does not invalidate an otherwise properly adopted amendment. NOTE: This process for proposed amendments has been part of the condo statute for years so this is further evidence of the legislature’s effort to streamline and harmonize the two statutes. Payments: Any payment on a delinquent account is applied first to interest, then any late fees, then to costs and attorney’s fees and lastly to assessments and this is regardless of any “accord and satisfaction” or allocation instructions placed on or accompanying the payment. NOTE: As with amendments, this language regarding application of payments has been part of the condo statute for years and is now being replicated in the HOA statute. What I would like to see both statutes clarify further is that when applying the payment to the assessment portion of the debt, that the payments are to be applied to the oldest assessment first. While this is what most practitioners advise because it the fairest to the unit owner, the statute does not provide specificity. Fining: If a fine is approved by a majority of the committee the payment is due 5 days after the date of the committee meeting/hearing. NOTE: This 5 day provision was also added into the condo statute this year so the theme of unification of the condo and HOA statutes continues! It is a bit odd that the legislature chose to make the date of the meeting/hearing the measure of when the 5 days begins since the association is required to send a written notice of the approval of a fine to the owner and that notice may not be received by the individual within 5 days of the meeting/hearing, but hey, at least the two statutes are the same, right? Elections: If an election is not required because the number of candidates is equal to or lesser than the number of open seats and assuming floor nominations are not required, those candidates become the members of the Board even if there is not a quorum to hold the annual meeting. NOTE: There has been at least one case on this issue decided by the DBPR so this change is an effort by the legislature to further reinforce that where no election is actually needed because there are not more candidates than seats open, the existing Board cannot use the lack of a quorum at the annual meeting to roll the existing Board over and thereby prevent those candidates who timely submitted their applications from being seated as Board members. The reason this makes sense is that even if there had been a quorum, the result would have been that these individuals would have been elected by what is commonly referred to as acclimation. It wouldn’t have been a contest. Preservation of Covenants: An association seeking to preserve its covenants may now record a summary notice which must contain specific information, a list of which is identified in the new statute, and for which the new statute also provides a form. A copy of this summary notice as filed with the county for recording must be included as part of the next notice of meeting or other mailing sent to all members. Additionally, each year at the first Board meeting which follows the annual meeting (but not including the organizational meeting), the Board must consider the desirability of preserving its covenants. This becomes effective as of October 1, 2018. NOTE: A HOA’s recorded covenants are extinguished under what is called the Marketable Record Title Act (“MRTA”) if they are not “preserved” every 30 years. Previously, to preserve the covenants a specific notice of meeting had to be sent to all members 7 days prior to the Board meeting at which the issue would be considered and 2/3 of the Board had to vote in favor of the preservation at that meeting for it to pass. Then a certificate was prepared and recorded. This new legislation essentially removes the notice and meeting requirement, although a Statement of Marketable Title Action (which is contained in the statute and has been slightly updated) is still required to be sent to all of the members before recording the new summary notice. Please note that if the 30 year deadline has passed all is not lost. There is still a procedure referred to as “revitalization” which allows a HOA to essentially revive its extinguished covenants, but it requires a vote of the membership and a lot more paper work. Don’t let that happen! Instead, call a fantastic community association attorney to assist your community! Electronic Voting: One of the most significant changes passed this session is that associations may now conduct elections and other membership votes via an electronic (internet-based) system. The new law includes requirements necessary to establish an electronic voting method, including a board resolution adopting this manner of voting. An owner’s consent to online voting is required, but if the owner does not consent then he or she is still entitled to vote by paper ballot. 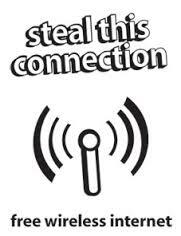 Electronic Transmission of Proxies: As the law previously existed, it did not allow for proxies to be submitted electronically (scanned, faxed, e-mailed, etc.). The new law contains language similar to the language already found in Florida Statute 607.0722(10), which governs for-profit corporations, and is being added to Florida Statute 617.0721, which governs not-for-profit corporations, including both condominium and homeowners’ associations. This new law will allow for owners to submit their proxies electronically, which will certainly facilitate membership voting by making it easier to participate (albeit participation by non-participation since its by proxy!). Electronic Notice to Owners: This part of the bill removes from the statutes the requirement that electronic notices to owners must be authorized by the bylaws (this requirement generally meant an amendment of the bylaws was necessary since many were recorded back when the Internet was merely just a dream of the U.S. Army, Al Gore, Bill Gates or whomever else claims to have invented it and electronic notice was not even contemplated!). Now, as long as the owner consents in writing, the association may provide the owner with electronic notice and save some trees. Suspension of Voting Rights and Amenities: A welcomed change and clarification adopted by this bill is that when an owner’s voting rights are suspended, they are effectively removed from the total number of voting interests in the community for purposes of calculating a quorum or obtaining approval of membership action. Basically, they are removed from the denominator of the fraction. So if you have a community of 100 units and need 67% to vote in favor of the proposed action, and 10 owners have had their rights suspended, you need only 67% of 90 rather than 67% of 100. The bill also clarifies that the suspension of right to use amenities applies to owner, their tenants and guests, regardless of number of units owned by the owner. Fines: This section of the bill clarifies that it is the Board of Directors that is responsible for levying fines and that the fining/covenant enforcement committee hearing must be impartial and limited to the purpose of approving or rejecting the fine levied by the Board. This is a change I find to be somewhat poorly conceived as it 1) takes away significant authority from the committee and places further burden on the Board and 2) is a somewhat poorly worded amendment to existing law confounding whether the fine is to be determined by the Board and then approved or rejected by the committee after the fact, at a subsequent fining hearing, or if the hearing takes place first and then the fine is levied. Application of Payment/Assessments: The Condominium Act sets forth that any payments received by owners on a delinquent account are applied first to interest, then late fees, then collections costs and attorney’s fees, and lastly, the unpaid assessments. The bill amends Florida Statute 718.116(3) to reinforce that this application of payments is to be followed regardless of any purported “full accord and satisfaction” or “payment in full” language or any other restrictive endorsement that may accompany a short or partial payment tendered to the association. The reason for this change is to overrule a 2014 appellate decision (referred to as the St. Croix case) that held that if a check was tendered for less than the total amount owed, but was accompanied by any of the “full accord and satisfaction” or “payment in full” language, the acceptance of the payment essentially settled the account for the amount accepted. This caused associations, their managers and attorneys to have to be overly cautious when processing each and every payment to make sure they were not waiving any amounts rightfully owed and even to turn away certain payments, but now that fear has been allayed, at least as to condominiums. What I would like to see clarified is the last part of the statutory application. The last item to which payments are applied are unpaid assessments but the question remains, to which unpaid assessments are those payments applied, the oldest or the most recent? It would make sense to apply payments to the oldest unpaid assessments first and that is often how they are handled in practice as it is most fair to the delinquent owner (since the older an assessment, the larger amount of interest that accrues). However, it would be nice to have a clarification. Just wishful thinking on the part of an association lawyer. Official Records: Previously, the Condominium Act had a catch-all type of provision that made “all other records of the association…which are related to the operation of the association” part of the official records. The new law clarifies that those “other” records are limited to only “written” records. Effectively, items such as audio or video recordings of meetings or security camera video footage are now no longer considered “official records” and accordingly, do not have to be made available to owners seeking to inspect the official records. An interesting debate is whether e-mail constitutes a “written” record and if so, whether audio or video files transmitted via e-mail are then made part of the official records. Distressed Condominium Relief Act: The bill also extended the “distressed condominium relief act” also known as the “bulk buyer law” until July 1, 2018. It had been set to expire, or “sunset” on July 1, 2016. This is important for investors that buy distressed condominium projects as it gives them immunity from various obligations affiliated with being a developer. Insurance: The new law modified a provision that previously made the association responsible for certain “uninsured losses.” This change really just fixes a glitch and clarifies that the association’s obligation to subsidize insurance shortfalls for items that may otherwise be the unit owner’s responsibility is limited to situations where the association was actually responsible to insure the damaged element. Homeowners Association Act: Florida Statute 720, which governs homeowners association, is now officially known as the “Homeowners Association Act.” Neat. Governing Documents Includes Rules and Regulations: While most everyone has always considered the rules and regulations adopted by an association to be part of their “governing documents,” that term, as used throughout the Homeowners Association Act (my first time calling the statute by its new official name…exciting stuff!) is now deemed to explicitly include the rules and regulations. Notice of Amendments: While the Homeowners Association Act still requires the providing of notice to the membership of recording an amendment to the governing documents, failure to do so does not affect the validity of the amendment. Eligibility for the Board of Directors: Taking a page out of the Condominium Act, the Homeowners Association Act now provides that an individual who is delinquent in the payment of any financial obligation owed to the Association as of the last day that he or she could nominate himself or herself to the board is not eligible to be a candidate and may not be listed on the ballot. Once on the Board, a member’s delinquency leash is a bit looser (so as not to create excessive vacancies) as it is not until they become 90 days delinquent in the payment of any monetary obligation owed to the Association that they are deemed to have abandoned their seat on the Board, creating a vacancy to be filled accordingly. Evicting Tenants of Properties in Foreclosure: HB 779 is meant to replace the Protecting Tenants in Foreclosure Act of 2009. Once a property is acquired at foreclosure, the new owner, whether a lender or third party purchaser, must provide a bona fide tenant (someone who was leasing at arm’s length, at a market rate) with only 30 days’ notice of the termination of the rental agreement before eviction can be pursued (if the tenant does not timely vacate). This is a much shortened window of time for tenants to vacate as compared to the prior Protecting Tenants at Foreclosure Act of 2009 which provided that a bona fide tenant was allowed to stay in the property for the entire remaining term of their lease unless the new owner wanted to actually reside at the purchased property. Termination of Condominiums: Since this is not something that commonly comes up with condominium associations, thankfully, I will only mention that the Condominium Act now provides that if a termination vote fails, another vote to terminate may not be considered for 18 months and voting interests that have been suspended are still entitled to vote on the termination. Also, a termination vote may not take place until 5 years after the recording of the declaration of condominium unless there is no objection. As a community association attorney, I see many contracts come across my desk for review. What concerns me are the number of contracts that do not. You aren’t dealing with Vito Corleone and an irrefusable offer! Any time a vendor is seeking to provide work or services to your community, you are the one in a position of power and it is of the utmost importance that your association insist on some basic protections. First, you will want to make sure the vendor is licensed, that they are adequately insured, that they provide worker’s compensation coverage to their employees and that they will agree to name the association as an additional insured on their general liability policy. These base requirements will be applicable to most all vendors providing goods and services to community associations and confirmation from the vendor should be insisted upon at the outset. 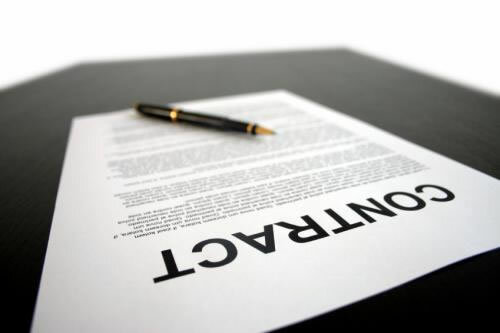 Next are the legal protections in the contract itself – indemnification and prevailing party attorney’s fees. Simple enough to have input into any agreement, but when omitted can lead to disastrous results. What happens if during the course of a vendor’s work they injure one of your residents or cause damage to a resident’s personal property? You guessed it – that resident is suing the association. Without an indemnification provision, the association will likely have to bear the burden of defending itself and potentially paying for a vendor’s mistake. Now what happens if the vendor does not cause any injuries or property damage, but simply fails to live up to the terms of the contract? If your contract with that vendor does not allow the prevailing party in litigation to recover its attorney’s fees from the losing party, it means that even if your association won its lawsuit against the vendor, the association would not be able to recover its attorney’s fees, which very well could exceed the underlying claim. Finally, where appropriate, your association should insist that any guarantees or warranties on labor or materials be provided in writing along with the contract and before work begins so that the association knows exactly what the vendor or manufacturer will be providing (or more importantly, not providing). Often, a contract will reference generally that the vendor or manufacturer will provide a warranty but does not specify the duration, limitations or conditions. Make sure to get a copy of these documents before putting pen to paper. Of course, to best ensure your community’s protection, it is recommended that you retain the services of a community association attorney to review all contracts. Conveniently enough, the contact information for such an attorney can be found immediately below. All that empty space and no right to use it…until now. After mailing or hand delivering a 2 day notice to the owner of record at their last known address, a condominium association can now enter a unit to clean it up, perform necessary maintenance or repairs, and to turn on utilities (get that A/C going to prevent mold!) if a unit is “abandoned”. The association can then charge all costs incurred to the unit ledger and lien for the amounts (if they are unpaid) the same as an assessment. Also, if a unit is “abandoned” a condominium association can petition the court to appoint a receiver to rent out the unit to offset costs incurred with regard to the unit and unpaid assessments. When a unit is not in foreclosure, but no tenant appears to have resided in the unit for 2 consecutive months without providing prior written notice to the association and the association is unable to contact the owner or determine their whereabouts after reasonable attempts. If your association has questions as to how best to make use of this great addition, it is recommended you contact a community association attorney. 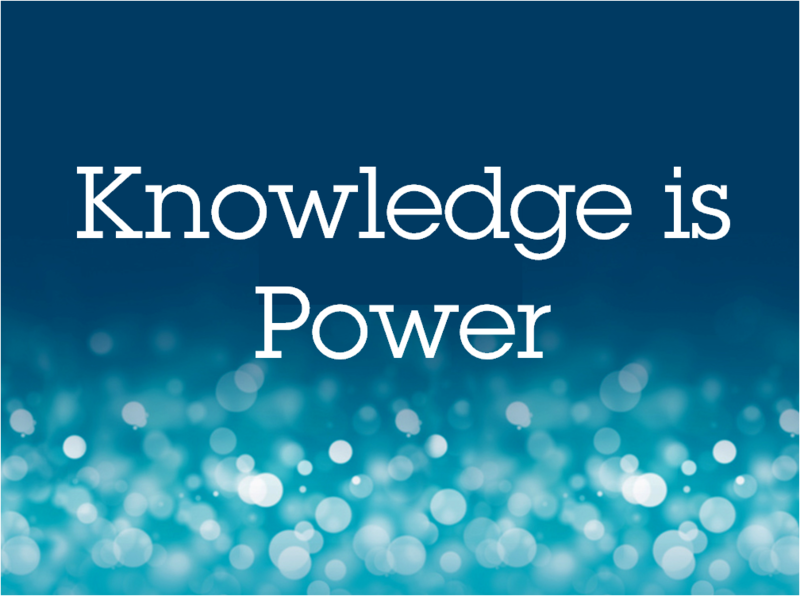 We have all heard the phrase “knowledge is power” but a recent Florida case involving a condominium association suggests that a lack of proper knowledge may prove to be even more powerful! In the process of collecting delinquent assessments, a representative of the association’s management company is often required to attest to the process and procedures concerning their company’s handling of owner payments and account ledgers. There are, however, instances where the current management company may have had a predecessor at the property, or maybe even multiple predecessors, who handled the particular delinquent account at issue during their tenure. So this naturally raises a question as to how the current management company can properly attest to the veracity of the records that predate their involvement with the association. The answer is that the account history maintained by a prior management company has routinely been admitted as evidence under what is referred to as the “business record exception” in order to allow the association to fully substantiate the total amount due and owing. However, in the recent case of Yang v. Sebastian Lakes the court held that it was not sufficient for the association’s current property management representative to authenticate the records of the prior company under the business records exception because the individual lacked personal knowledge of the predecessor’s practices and procedures and could not attest to the veracity of their records. Really? This is surprising since the court’s opinion is in direct conflict with the holding of the WAMCO case which is routinely relied upon and conversely holds that a testifying witness may indeed authenticate the records of a predecessor through the business records exception even though the witness is not aware of the predecessor company’s specific practices and procedures. In comparing the two differing opinions, the WAMCO decision seems to makes more sense, at least from a real-world perspective. Take for example the account history associated with a loan. As we are all aware, ownership and servicing of a loan may change hands several times before there is either a payoff or a default. In the case of a default, the logic under Sebastian Lakes would require the current holder of the loan to march a parade of witnesses into court so they could each testify as to how their specific company maintained the account history and recordkeeping for the loan during their period of ownership/servicing. Then again, adding a parade to what many people already believe to be a circus may seem like a natural pairing so why not? Even more concerning is that the Sebastian Lakes holding fails to account for the scenario where the predecessor, whether it be a bank, loan servicer or management company no longer exists. It is, of course, impossible to obtain testimony from a representative of a non-existent entity, so under Sebastian Lakes there would seem to be no way to properly authenticate the prior records. Great outcome! Even though Sebastian Lakes seems to arrive at a somewhat strange conclusion it is beneficial in that it identifies a defense that has gained a degree of traction and reinforces the value of engaging your current management company to audit the records received from a prior management company for accuracy and consistency with generally accepted accounting principles, which, in turn, will allow them to more accurately testify on your behalf when necessary.